You may have seen it in the news, drone racing is becoming a thing. You may be thinking about taking your Phantom or new Spark to the park and scooting around with your friends doing the same, which would be fun, but that’s not what we’re talking about. We’re talking about small, tough, agile, high-speed machines with FPV cameras and goggles on highly technical closed tracks. With speeds in the neighborhood of 100 mph, technical courses that look like something out of a 90’s video game and cash prizes on televised races, what’s not to love?!? Compared to high-end camera drones, it is fairly affordable to get started, and we’re here to help with a list of the best racing drones. Thank you for joining us here at Drone Rush, we are a group of passionate technologists, eager to fly every drone we can get our hands on. Our enthusiasm for drones began as a hobby, and rapidly grew to seeking out the best camera drones on the market. Learning that there are many forms and functions of Unmanned Aerial Vehicles (UAS,) we strive to learn them all. We invite you on this drone journey, we ask you to trust us as a source to find the best drones on the market today. We also want to help you get the most from the experience, watch for tools, tips and tricks for your drone flights. Learn more about our drone philosophy by clicking the button below. What do you need to race? Know the law – do you need to register your racing drone with the FAA? As far as an out-of-the-box solution goes in the racing world, the Walkera F210 3D is one of the best drones you’ll find today. It packs both normal and night vision cameras, a sturdy build, simple customizations and a lot of thoughtful longevity features. Not saying it won’t break if you crash it, but they’ve done what they can to protect core components and make the rest easy to replace. 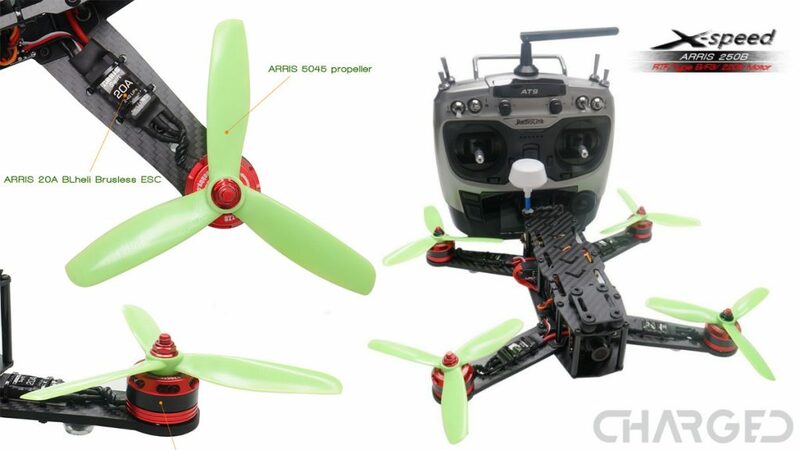 Best of all, you can tweak the flight characteristics directly, adjusting the flight controller to your specifications. The F210 3D is lightweight, we hear it is extremely agile, particularly in those demanding corners of technical courses, and is fast enough to keep up. We can’t guarantee you’ll win races with the Walkera F210 3D, but if any ready to fly drone purchase was going to get you there, this may be it. Check out the Walkera F210 3D for $345 on Amazon today. We have to admit, the Emax Hawk, and smaller BabyHawk have been on our radar, but didn’t make our list. That is, until we attended the IDRA races at AUVSI Xponential in Denver, the winning racer was flying a Hawk. Pilot skill aside, that’s enough credibility for our list. Hawk 5 is a bit of a larger racing quad, but it’s super fast. Maneuverability is key to keeping speed through a tight course, and the Hawk performed beautifully at the race. Check out the Emax Hawk 5 for $250 as a Bind-and-Fly configuration – meaning you need your own controller. A simple design with advanced electronics makes the Arris X-Speed 250B an appealing package. That, and the fact that you pretty much just have to charge the batteries and you’re ready to fly out of the box. Equipped with some assistive flight modes, for the learning flier or lazy flying days, this could be a great package for a new racing pilot. If you are looking for a solid modular system of a racing drone, from a company that is dabbling with drone AI to help makes its machines smarter, UVify may have an answer for you. There is the Warp 9 to consider, it’s got serious smarts, but most of us will look at the Draco. Available in analog and digital video variants, grab the right Uvify Draco HD for $641 or the Uvify Draco for $499 today. A newer machine from Walkera, this 215mm frame size racer is geared up for the win. Walkera includes a long list of features with this little racing machine. A well equipped camera will keep you enjoying up to 9 minutes of flight from this ready-to-fly package. It weighs 375g without a battery and you can get it in kits with various controllers, or no controller at all. Check out the Walkera Furious 215 from $349 with a simple controller, up to $662 with high-end controller. Building off of the UVify Draco quadcopter, the team at UVify have extended the propeller arms and added a few more motors to the rig. The new Draco-4×4 is a beast of a race drone, it has a commanding presence in the air, tons of power with 16 motors and has already been picked up by the DR1 Racing league for a series this coming season. 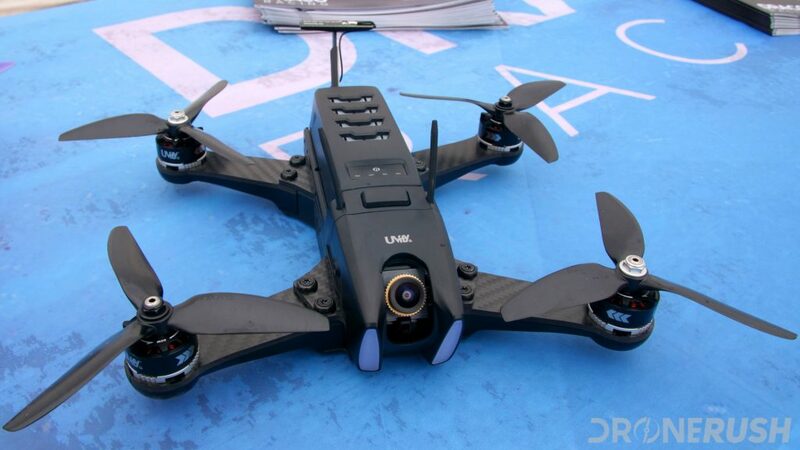 Small race drones are fun, but hard to see for track-side spectators. That changes with the Draco-4×4, hundreds of LEDs line the large drone, tracks will be larger, crashes will be more dramatic and the result should be something more consumable for non-pilots. For the beginner race pilot out there, UVify has a great little quadcopter on the market that can satisfy both your casual flying and your racing desires. Get started with the OOri in beginner mode to learn the ropes, then gradually bump up to full tilt to go over 50 MPH. 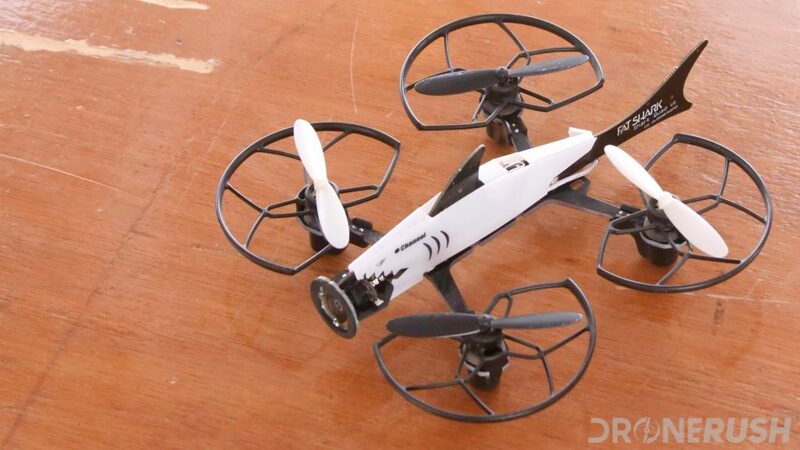 This is a fun, resilient and surprisingly stable drone to sink your racing teeth into. To get your hands on this little racer, you can order UVify OOri for $345 today. OOri is shipping now!. We all have to start somewhere, and Fat Shark is determined to help us all get into racing. I was impressed with the simplicity of the build for the Fat Shark 101 race trainer, almost as impressed by its speed and how complete of a racing package you get for the money. 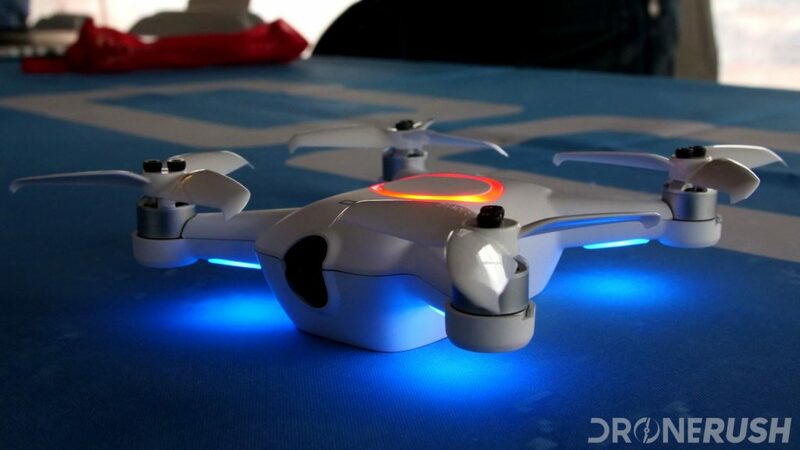 Scoot along and learn all the basics of racing using this cool looking, easy flying drone. The Fat Shark 101 is $172 today. Truth is, most racers prefer to build their machine from the ground up. 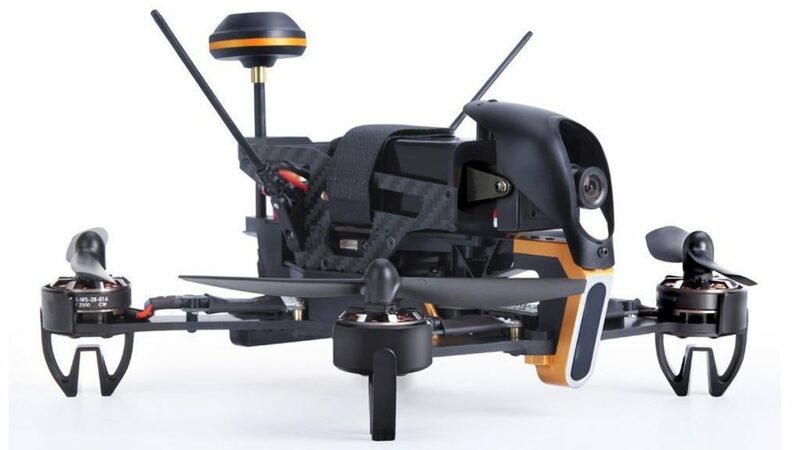 Scratch building your racing drone ensures you get the form factor of your desire, and has the added benefit of helping you understand each of the components so you can change out parts appropriately. Building from scratch can be fun, or it can be a nightmare, it really depends on what parts you try to jam together. Understanding the bits and pieces is key to the task. Experience will help you get the hang of things, but you might want to start with some education on the matter. We have become huge fans of the folks over at Flite Test – they focus on RC airplanes, to be fair, but they have some quadcopter education as well. More important, they sell most all of the parts you’d need to build a racing drone. We’re going to stop there for now, we will regularly update this article as we both learn more about racing drones and as new units hit the market. For now, please do hit the comments below to recommend your favorite racing drone, controller and headset. Are you excited for more drone racing, or will you stick to the camera drones we usually prefer around here?